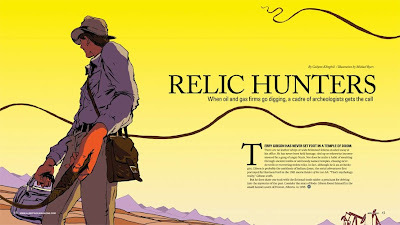 Levy Creative Management artist MICHAEL BYERS created this great piece “Relic Hunters” last month for this month’s issue of Alberta Oil Magazine. 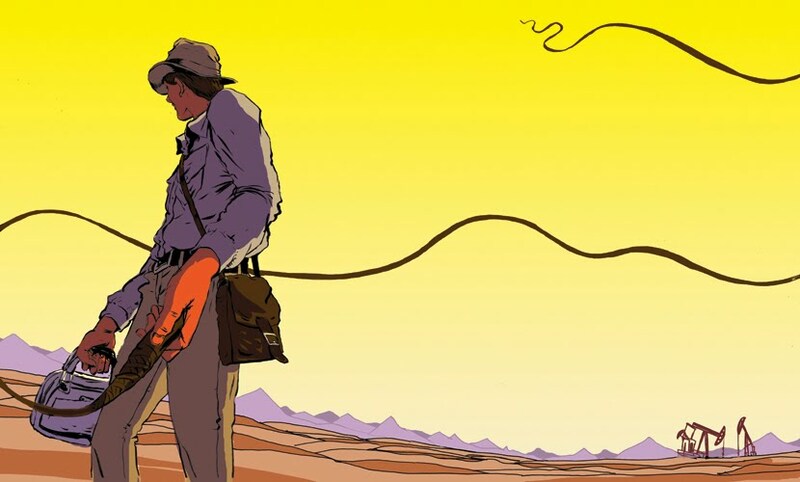 It’s about an archeologist who consults with big oil companies before they plan on starting up any oil operations. They go through him first to determine whether or not an area is safe to dig. 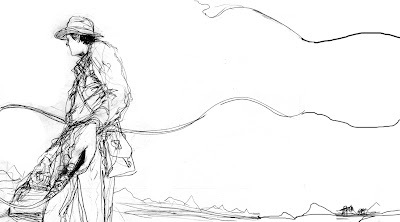 Being an archeologist in Canada means this guy knows that Alberta has one of the richest dinosaur fossil deposits. And lots of oil….Enjoy the sketches and final.